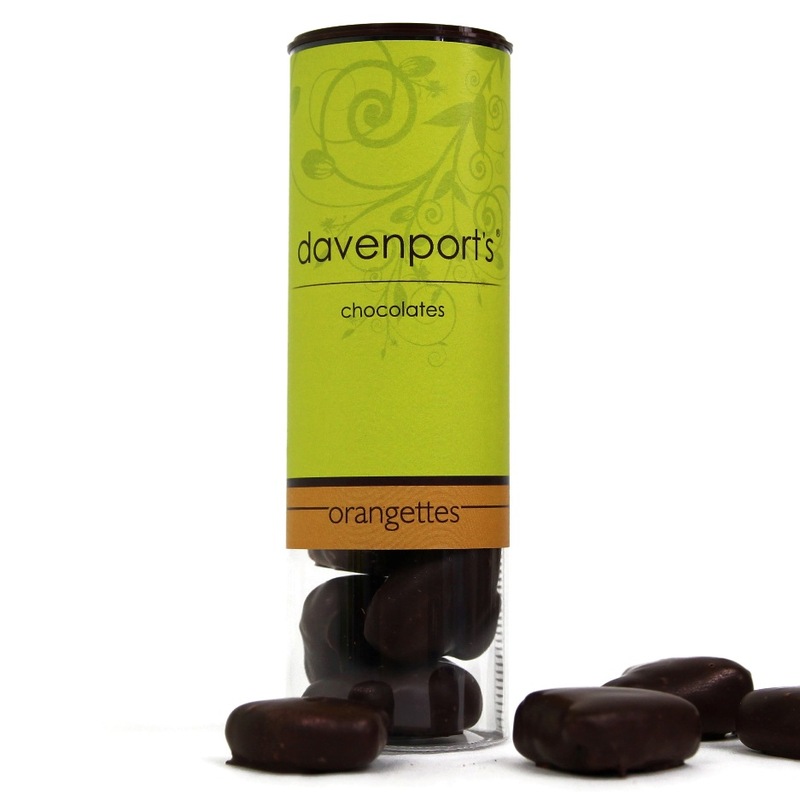 Zesty orange segments, double coated in our house blend of rich, dark chocolate. 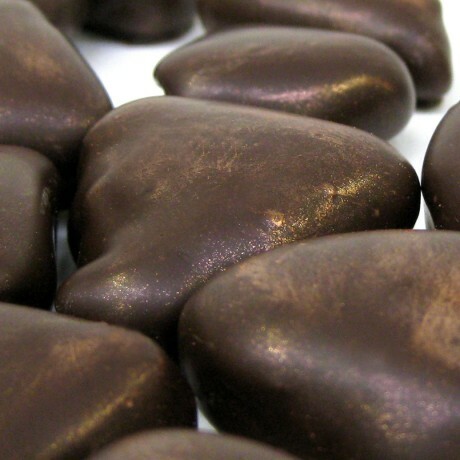 These dark chocolate orangettes are then hand painted with a pearlescent sheen of copper. 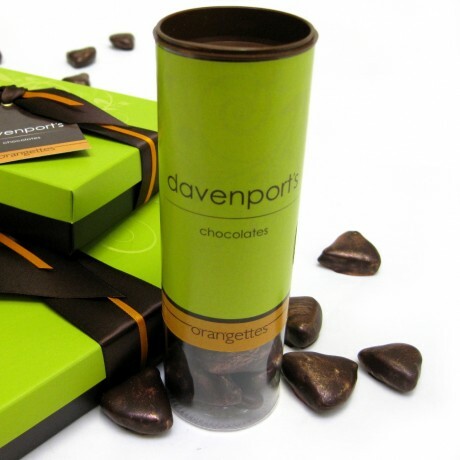 A lovely, thoughful gift for anyone who loves dark chocolate coated orange peel, though we also like to keep the fruity flesh of the orange in there too! Great for nibbling at your desk or keeping in your handbag, these tubes are re-seable in case you don't eat them all in one go! House blend of dark chocolate: 54% cocoa solids, with well rounded, rich flavour notes. Davenport's Chocolates orangettes are also available in a chocolate gift box of twelve. Dark Chocolate (Cocoa Mass, Sugar, Cocoa Butter, Emulsifier: Soya Lecithin, Natural Vanilla Flavouring) Glaceed Orange Rings (cane Sugar, Glucose Syrup, Citric Acid E330, Preservative: Potassium Sorbate E202), Colour Powder With Mica and E172. Contains: Soya. May also contain nuts, milk, peanut, wheat and egg. per 100g: Energy 1882.9kJ/ 448kcal, Fat 21.6g (of which saturates 12.9g), Carbohydrate 56.8g (of which sugars 43.7g), Fibre 6.5g, Protein 3g, Salt 0.38g. per 10g serving: Energy 195.8kJ/ 46.6 kcal, Fat 2.2g (of which saturates 1.3g), Carbohydrate 5.9g (of which sugars 4.5g), Fibre 0.7g, Protein 0.3g, Salt 0.04g.